I bet the billionaire must have felt the earth shake under his feet when he woke up to the news of a $1 billion donation he never made. As a nation, Pakistan runs high on emotions and little on common sense. In an effort to make our otherwise tedious routine from nine-to-five feel a little more interesting, we like to create gossip, spread rumours and conspiracy theories, and mainly take active part in circulating fake news. Anything floats the boat in Pakistan, as long as you make the news sound somewhat real to a common man. 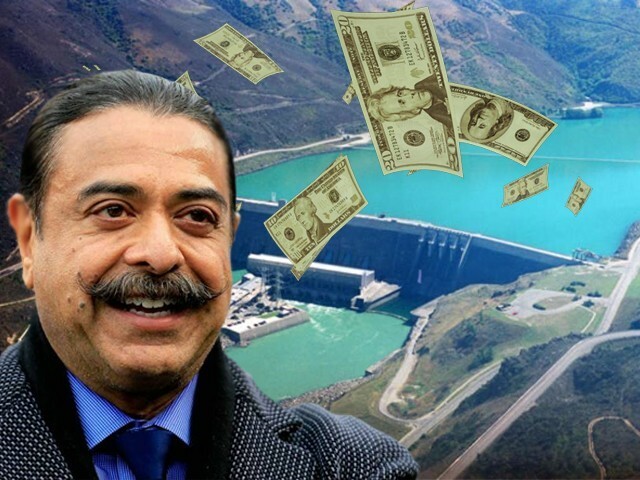 A good example of this is the spread of something as wild as the claim that Shahid Khan, a Pakistani-American billionaire and the richest person of Pakistani origin, is donating $1 billion to the Diamer-Bhasha Dam Fund. As stated by Imran Khan himself, social media has transformed the speed at which information travels. But no joke, there are times in Pakistan when news travels so fast that nobody cares where it originated from in the first place. I bet the billionaire must have felt the earth shake under his feet when he woke up to the news of Pakistanis celebrating a $1 billion donation he never offered to make. The amount of love that must have flooded into his social media accounts would have raised all possible red flags in his mind, for being publicly lauded in Pakistan usually comes at a price. I wouldn’t be surprised if he double-checked his bank account to see whether the donation had already been made as well. News circulating about Mr. Shahid Khan for 10 million dollars donation to Pakistan after Imran Khan's request to all Overseas Pakistanis to donate & help in building water dam in Pakistan. Bravo to those Pakistanis who consume fake news on social media like halwa puri on a Sunday morning. Nobody felt the need to verify the news from a credible source before sharing, because when emotions are running high, we like to believe in what we want to hear, but not necessarily in what is true. It is beautiful to see that we all got our fair share of patriotism shot into us since birth, but it would be wise to do some due diligence before becoming an agent of spreading any news. It is counter-productive to the nation’s image when we demonstrate how easily we get fooled on stories that have little to no material substance whatsoever. After all, people share screenshots with trending hashtags on Twitter for every dime they donate to the fund – because without a screenshot, it might not be accepted by God – and we’re sitting here thinking a billion-dollar donation will go unnoticed by our media? Even the Army Chief had a photo session with Chief Justice Saqib Nisar before handing over the cheque. For future reference, all Pakistanis should kindly note that donations of the billion-dollar scale would make breaking news on all Pakistani channels, with a news anchor shouting it at you a hundred times and then taking a reporter on line from the US to regurgitate the same story all over again. I can assure you, this is not news that the broadcast media would miss out on. Thus, I could have laughed at the level of ignorance we demonstrated by making a story viral with no background or fact-checking, but this instance indicates a far more serious concern. In Pakistan, stories that are far from reality can easily be believed for fact, as long as you can make the society emotional about the subject. If you can mix emotions and religion together, for instance, then you hold the pen for writing a story you want to sell, because there is an audience waiting to consume it without a second thought. A society that couldn’t even turn a blind eye to a story that could have been dissected with some common sense and a few taps of the fingers on Google, thinks it knows all the relevant facts when it comes to justifying discrimination, racism and violence against the minorities, or blasphemy in this country. It sets the wrong precedent for a society that gets dictated more by its emotions than by its ability to think critically. In this particular instance, it was just false news about a donation, but in another incidence, it could be a fabricated story justifying violence and inciting hate, as seen in the Whatsapp lynching incidents in India or the Mashal Khan incident in our own country. Taking a moment out of your day to verify a fact you are about to share with others is a responsibility on your part, not a courtesy. Going on a sharing spree on social media accounts means you are becoming a participant of a particular story. If that story leads to consequences, then do remember you played an active role in it as well. It would be wise to do some research on who Khan is before celebrating or even accepting his money. Knowing that he is a billionaire and happened to be born in Pakistan once upon a time is not enough. Had one studied further, they would realise that Khan owes this country nothing, which is why it’s best to stop waiting for the billion-dollar rain to arrive here when dark clouds are still hovering over the US, more specifically over the Carolinas. Before you rush to hit share or the retweet button next time, please be cautious of your actions. After all, it reflects poorly on you to be sharing ‘news’ that originated on social media and is circulated around without any evidence. Expecting Shahid to pour in a billion dollars to the dam fund, simply because ‘Pakistan’ is part of his introduction on Wikipedia, is irrational. Yes, social media is highly unregulated and fake news will always be a part of it, but the onus of not getting fooled by posts generated by someone sitting on a couch in a basement and not by a verified author is on you. Take the extra step and verify the source to be credible, because if you’ve been fooled multiple times, then shame on you. 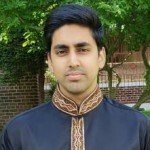 Imagine if you were a minority Pakistani citizen who was a victim of a terrorist attack by openly known religous extremists, but instead of receiving sympathy or see any action of a crackdown in the aftermath, you are lectured by your prejudiced majority citizens, regardless of their education level, who deny and deflect it’s any extremists from their shared faith or background but a conspiracy by the Indians or other foreign hands instead which is not corroborated by any 3rd party reporting.